What's Causing That Turbulence on Your Flight? What’s Causing That Turbulence on Your Flight? Turbulence is one of the words flyers least want to hear while they’re 35,000 feet in the air. But, what many travelers don’t know is that there are multiple kinds of turbulence — not all things that make a bumpy ride were created the same way. In United’s Big Metal Bird series, we’ve had the opportunity to explore the work the ground crew does when it turns a plane and what it’s like being a flight attendant. And now, the carrier takes us inside the different kinds of turbulence. 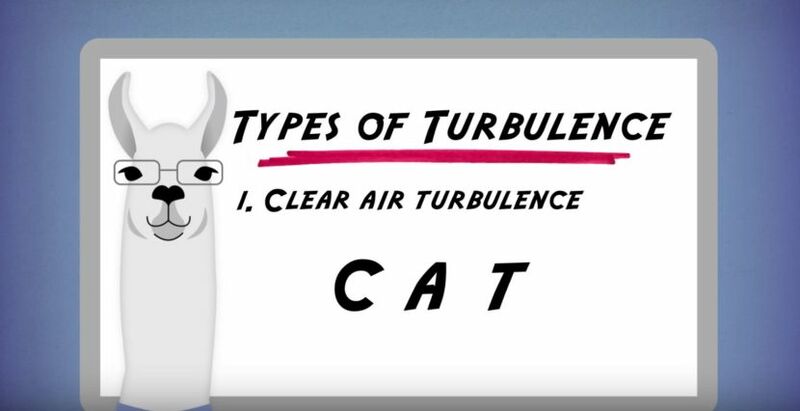 Clear air turbulence (CAT) can be encountered most commonly along the lines of a jetstream, which are strong winds at high altitudes around the world. When the jetstreams change direction (either horizontally or vertically), the result is turbulent eddies, which is where the bumps come from. Your fellow aircraft could be partially to blame for this kind of turbulence. Wake turbulence is caused by rotating air from the wingtips of other aircraft. Thankfully, this can be easily avoided by keeping a required minimum distance between aircraft in the sky. This type of turbulence is caused by weather front passages and the uneven heating of the earth’s surface. When the hot air rises, thunderstorms and rain will ensue, creating wind, which will cause turbulence (like CAT, above). This type of turbulence is also avoidable, as pilots can use satellites and other tools to avoid these areas. Finally, one of the last most common types of turbulence is mountain wave turbulence, which, as it sounds, is based off mountains. This is also possible to avoid, as mountains don’t move. The turbulence is caused by winds that flow in, around and over mountainous terrain. Now that you know a bit more about turbulence, you can — hopefully — see why it can sometimes be challenging for pilots to avoid. And if you’re one who dislikes turbulence, there are some tips for making sure you can handle it better on your next flight.